From Brexit to migration to cybersecurity, how will European leaders forge progress on the region’s most pressing challenges? - Ana Botín, Group Executive Chairman, Banco Santander, Spain. 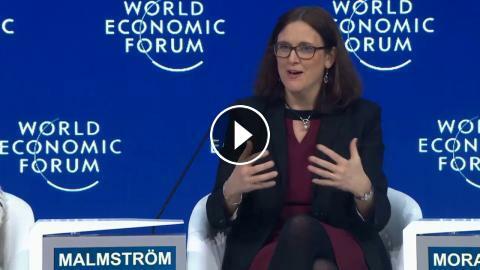 - Cecilia Malmström, Commissioner for Trade, European Commission, Brussels. - Mateusz Morawiecki, Prime Minister of Poland. - Mark Rutte, Prime Minister of the Netherlands. - Leo Varadkar, Taoiseach of Ireland; Young Global Leader. - Klaus Schwab, Founder and Executive Chairman, World Economic Forum.